Baby Growth: This week Blitzen is weighing about 1 and 2/3 lb and is 14 inches from head to heal. That’s the size of an English hothouse cucumber…I’ve never seen one of those before but I laughed out loud like a middle schooler when I googled the picture of it. I wonder why?!?! Blitzen can now distinguish our voices so it’s important that he or she hears positive things 🙂 If Blitzen’s a boy, his testicles are working their way down into his scrotom which should only take a couple of days. Guess when we have the 4D ultrasound they better be extra careful not to show us the goods! Also Blitzen can now open his or her eyes (and was actually opening and closing them during the ultrasound!). If you could see inside my tummy this is what Blitzen looks like…it’s neat because I actually got to see Blitzen this week! Poor thing is pretty cramped in there! Belly Picture: Ugh I am NOT feeling cute today but whatever…I got up extra early so I could get ready just for this picture! How lame am I?!?! But I knew I needed to blog while Kye was at school so it had to be done early 🙂 There’s NO hiding that tummy now! I’m wearing my La Coco Turquoise Bead Necklace, Sunset Bangle, Essential Ball Studs, and my Belly Stickers! Thankfully, I’m no longer sick! That crud took it’s precious time leaving my system! My biggest symptom this week has been the spotting. It’s been scary and not fun at all. I’ve had a little since my appointment yesterday but since I know nothing is wrong I feel SO much better about it!!! I’m glad I’m going to the outlets this weekend as I need to get fitted for a new bra. I may have the right size from last pregnancy but this 34C just ain’t cutting it anymore. I actually feel tight all over. If that even makes sense? My stomach feels tight even and nothing is comfortable. Weight: I KNEW it was coming! A week where I really gained. This week with all the resting and worrying I ate to my hearts content. I know it sounds stupid but part of my thinking was “I never had any scares with Kye and I was heavier, so maybe I need to gain some weight.” It isn’t logical but when you feel like you have zero control over a situation you try to grasp at something you can control. Anyway. I gained 3 pounds which puts me at a total weight gain of 8. Pretty depressing but a BIG part of me (probably the huge stomach part…) doesn’t care. I know I need to care and I’ll regret it later so that’s another thing to step up on this week. Gender: I REALLY want to finalize names. Being scared this week I wanted to feel connected to the baby and wanted to know a full name to call it. In my mind during all my worries I kept thinking of our girl name over and over. So my gut is still girl. Zach also thought the ultrasound picture looked like a girl (sorry son if you’re a boy!). Maternity Clothes: I busted out my first maternity shirt on Monday as I wanted to just be comfortable and to really, really feel pregnant. I felt ugly the moment I put it on. Ugh. I simply loathe maternity clothes. I will NEVER buy another piece of maternity clothing again. No matter how cute it may look – it’s not cute. It doesn’t feel cute. I’m fine with wearing the pants, but not the tops. I just can’t do it. So I’m going to keep wearing/buying bigger sized regular clothes (like the shirt I have on today is a regular person size Large and it works right?!?). Movement: I thank God every time I feel Blitzen move, which is OFTEN. It’s seriously still constant and, yes, still painful pretty much all the time too. I was hugging Zach last night (SO happy to have him home!) and he could feel it through my shirt and his shirt! Even during my fears this week it was hard for me to imagine this baby being born and it not being okay. It just feels SO strong to me and like he or she could already be born and survive. Even in my lowest moments this week I never worried or felt like Blitzen wasn’t going to live and thrive. I’m thankful I have that faith! And I’m SO thankful for his or her movement!!! I remember Rachael posting a video of her belly moving with Macy in there and I eventually want to do one too b/c it’s crazy how you can SEE the baby’s movement! Sleep: I RESTED a lot this week but didn’t get much sleep. When I’d spot, I’d get up to pee like every 15 min to check and see if there was more. Plus those migraines didn’t help. And Zach being gone didn’t help. It wasn’t a good sleep week for me! What I Miss: Having no fears or worries (which I feel better about now! ), being a cute pregnant girl instead of a gross one. Not feeling guilt every time I do something or bend over. Best Pregnancy Moment of the Week: Hearing that everything is okay. Laying in bed Sunday night and just feeling Blitzen and spending quality time with him or her. Hearing from Kye’s teacher that he prayed for me to feel better at school. When Kye told me he wanted to color a picture for the baby. Seeing Blitzen in the ultrasound! Kye crawling into my lap and asking me to hold him like a baby and sing to him a baby song (I KNOW that’s not a “big boy” thing to do but omg I ate it UP!). Goals for the Week: REST. Duh. Start getting back to accomplishing things on my list to get done but do them slowly. Have a legit talk with Zach about priorities and how we can readjust somethings to make life easier on me and Blitzen. Do Bradley (I took the WHOLE week off b/c I didn’t wanna but any extra strain on Blitzen) every night. Register. Notes from Pregnancy #1: At this point in pregnancy last time I also had a BIG jump. I went from gaining 9 lb to gaining 13! So I gained 4 lb in one week. Makes me feel much better about how much I gained this week and I’m thankful I’m still 5 lb behind where I was last time. Hopefully it can stay that way! This week last pregnancy we were finishing up all our Christmas decorating (and celebrated with Katie and Ashley) which makes me excited because Blitzen will be here in time to enjoy all of that with us 🙂 It’s interesting to me that this week I had a horrible dream about the baby and during this same week during my last pregnancy I had a good dream about Kye! I woke up so sure that “Clover” was a girl and in actuality it was, obviously, a boy. In my dream this time Blitzen was a boy so we’ll see 😉 I got to meet Javon and Dawn’s son Cade and enjoyed talking with them about parenthood. We also started to plan Paris and found out we wouldn’t be allowed to take Kye along with us. It still shocks me to see how EASY life was back then…I went to see two movies, ate out mulitple times and hung out with friends almost every day. Must have been nice huh?!? I had a dr. appointment and was so glad Stacy was back for it (she’d been gone on maternity leave…which is where she’ll be when I have Blitzen too!). We also went to our first pregnant class, the epidural one (glad I don’t have to sit through that again). Next Post Kye’s First Day of Preschool! You may not feel cute, but you look fabulous! And don't ever apologize for worrying about your baby. A blog is supposed to be all about what's on your mind, so if you didn't write all about Blitzen this week it wouldn't have been "real." You've been in my prayers and will continue to be! 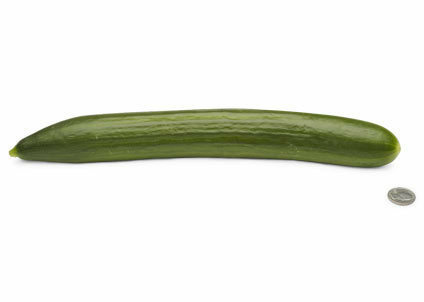 Oh, and I totally laughed about the cucumber pic, too! Ha! You know you look as GORGEOUS as ever! If I have to call you and tell you that everyday I will! Glad you're feeling better! I hope this week is MUCH better…I'm sure it will be. I know you hate maternity clothes, but you look cute- promise. See, everyone else agrees, so that means you must have a distorted image of yourself.Glad you're getting all that movement. ENJOY it!